*Billboard above funded by citizens’ donations. Citizens questioning the Australian Government’s vaccination policy are being ignored and even censored. Big Pharma is controlling taxpayer-funded vaccination policy now. Click on the YouTube link in the above picture to see Elizabeth Hart’s presentation Big Pharma’s hijacking of ‘over’-vaccination policy – Conflicts of interest and lack of transparency and accountability, presented at the 2018 Sydney Vaccination Conference – The Censorship of the Vaccination Debate in Australia Today. This presentation examines the influence of powerful individuals such as Bill Gates and Rupert Murdoch, and the network of conflicted academics involved in industry-funded vaccine trials who are also influencing vaccination policy, particularly Terry Nolan, the former Chair of the Australian Technical Advisory Group on Immunisation, and Robert Booy, the Head of Clinical Research at the National Centre for Immunisation Research and Surveillance and Chair of the industry-funded Immunisation Coalition. There are also conflicts of interest in the evaluation and regulation of vaccine products. The Therapeutic Goods Administration assesses and registers vaccine products using manufacturer supplied data. The TGA is funded by industry for this service. The TGA’s role as the evaluator and regulator of vaccine products is compromised by its reliance on industry funding, the TGA has a conflict of interest. See more in the presentation Big Pharma’s hijacking of ‘over’-vaccination policy – Conflicts of interest and lack of transparency and accountability. Transcript of presentation: Conflicts of interest in vaccination policy. Presentation also accessible on Facebook. UPDATE JULY 2018: See my open email to Rupert Murdoch and Lachlan Murdoch of News Corp, challenging the influence of their media group on vaccination policy in Australia, and their failure to disclose their conflict of interest in this matter, i.e. their association with the Murdoch Children’s Research Institute which is involved in industry-funded vaccine research and development. I also forwarded my email to the Murdochs to (former) Australian Prime Minister Malcolm Turnbull, challenging the Murdoch’s influence on Australian vaccination policy, see: Conflicts of interest in vaccination policy and the No Jab, No Pay law. UPDATE SEPTEMBER 2017: See: Government-mandated over-vaccination in Australia – Time for citizens to demand transparency and accountability. UPDATE MARCH 2017: See my letter to Australian Prime Minister Malcolm Turnbull challenging coercive over-vaccination of children. UPDATE JUNE 2016: See my letters challenging over-vaccination policy and the No Jab, No Pay Law, forwarded to the Australian Government’s (former) Chief Medical Officer, Chris Baggoley. According to international market reports, the global vaccine market is predicted to rise from US$5.7 billion in 2002, to more than US$77.5 billion in 2024, a more than 13 fold increase. Is all this vaccination really necessary and beneficial to individuals, or is there some very lucrative over-vaccination going on, with the sanction of governments and the medical/scientific establishment? While a single shot of effective ‘live’ measles and rubella vaccine is reported to provide lifelong protection from these diseases, some other vaccine products are of questionable value e.g. annual flu vaccination for the ever-mutating flu, controversial HPV vaccination, and repeated ‘boosters’ with the failing pertussis vaccine. Is the ever-increasing list of vaccine products being seen as the saviour for pharmaceutical companies facing the patent cliff? The World Health Organisation (WHO) has indicated we are experiencing a vaccine boom. An article published in New Scientist in late 2011 says: “No longer the unprofitable runt of the pharmaceutical family, vaccines are fast becoming the industry’s breadwinner…While the rest of the pharmaceutical sector struggles to keep afloat as expiring patents send profits plummeting, the vaccine industry has become remarkably buoyant”. In 2009, Associated Press reported: “Vaccines now are viewed as a crucial path to growth, as drug companies look for ways to offset a slowing of prescription-medicine sales amid intensifying generic competition and government pressure to restrain prices under the federal health-care overhaul”. 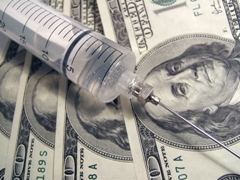 Vaccines are the booming new market for pharmaceutical companies, it appears the floodgates opened in the 1980s when the United States protected vaccine manufacturers from liability. There are forces working very hard to set up a massive international vaccine market in developed and developing countries. Relationships between the vaccine industry and organisations such as the WHO, US Centers for Disease Control and Prevention (CDC), US National Institutes of Health (NIH), the GAVI Alliance, and the Bill & Melinda Gates Foundation etc need to be scrutinised. Children are the major target for the vaccine industry’s growth, as indicated by ever-increasing national vaccination schedules. New vaccines continue to be added to vaccination schedules with an alarming lack of transparency of the process, see for example the controversial human papillomavirus (HPV) vaccine. Children who are already likely to be immune after the first dose of the Measles/Mumps/Rubella (MMR) vaccine are arbitrarily revaccinated with a second dose, often misleadingly termed a ‘booster’. In recent times adults are also being urged to have repeated vaccinations, for example annual flu vaccinations of dubious value, and recent calls for questionable ‘boosters’ with the failing whooping cough/pertussis vaccine. Are people being properly informed about the risks and benefits of these vaccines? Is legally valid ‘informed consent’ being obtained before vaccination? With vaccine manufacturers sizing up the potential for lucrative global vaccine markets, industry-funded ‘peer-reviewed literature’ being used to promote vaccine products, and entrepreneurial scientists lining up for vaccine royalties, there are strong vested interests to consider. There are also questions about the long-term efficacy of some vaccines, inadequately researched possible adverse reactions to vaccination, and the, in effect, limited liability of international vaccine manufacturers. Debate on vaccination has been polarised between ‘pro’ and ‘anti’ vaccination factions, with any questioning of the vaccination status quo being regarded as taboo. There appears to be little consultation with the general public about additions to vaccination schedules, and there are concerns about potential conflicts of interest of government health advisors in this area. The lack of transparency and accountability in the promotion of vaccine products is unacceptable. Government bodies are using coercive policies to press vaccines of questionable value on mass populations of children and adults and this must be challenged. It is now taken as a given that ‘vaccination is good’, ‘vaccination is safe’, ‘you can’t have too many vaccines’. Paul Offit, Chief of the Division of Infectious Diseases and the Director of the Vaccine Education Center at the Children’s Hospital of Philadelphia, is famous for his flippant remark that a baby’s immune system could handle as many as 10,000 vaccines, and upping the ante by saying it was probably “closer to 100,000”. Paediatrician Paul Offit’s cavalier attitude contrasts quite markedly with the more considered opinion of Ronald Schultz, Professor and Chair of the Department of Pathobiological Sciences, University of Wisconsin-Madison, and an expert in companion animal vaccines. There are interesting comparisons to be made between companion animal vaccination and human vaccination. For instance, veterinary academics and veterinarians have raised concern about over-vaccination of companion animals and its possible connection with immune-mediated hemolytic anemia, thrombocytopenia, polyarthritis, atopy, chronic allergies, asthma etc. Are there lessons here for human vaccination? For example, could there be a possible connection with over-vaccination and allergies, which have been reported to have hit “epidemic proportions“[13,14,15,16,17] in Australia, and other health problems in humans? While it may be difficult to prove a connection, surely it would be prudent to reduce unnecessary vaccination to avoid any risk? While international dog and cat vaccination guidelines warn that we should decrease companion animal vaccination, i.e. “we should aim to reduce the ‘vaccine load’ on individual animals in order to minimize the potential for adverse reactions to vaccine products”, vaccination of humans is increasing at a startling rate. Professor Schultz is an author of the companion animal vaccination guidelines, which acknowledge that “there is gross under-reporting of vaccine-associated adverse events, because of the passive nature of reporting schemes, which impedes knowledge of the ongoing safety of these products”. While these animal vaccination guidelines are compromised in that they are industry-funded, they are nevertheless a groundbreaking initiative, with their concept of categorising ‘core’, ‘non-core’ and ‘not recommended’ vaccines. With the increasing number of human vaccines coming onto the market, it’s time to adopt the cautious attitude exhibited by experts in animal vaccination, and critically consider the worth of individual vaccines, and the potentially deleterious consequences of over-vaccinating humans with a multitude of vaccine products throughout life. Aggressive marketing by the pharmaceutical industry and industry-affiliated ‘experts’, including lobbying for compulsory vaccination with vaccines of dubious value (e.g. HPV and annual flu vaccines), is threatening citizens’ autonomy. It’s time there was an investigation into the relationships between governments, the vaccine industry, and the industry’s handmaidens in the scientific/medical establishment, but who can we trust to do that? The mainstream media has generally been completely useless on this matter, and incapable of providing critical analysis, merely supporting the status quo. Citizens must be allowed to have a rational debate on this important subject to ensure public confidence in vaccination practice. All vaccination recommendations must be transparently evidence-based. And forum discussion on vaccination e.g. the university and CSIRO-funded The Conversation forum, Ben Goldacre’s ‘Bad Science’ forum and the Virology Blog. 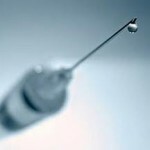 See 20 Top-selling Vaccines – H1 2012. FiercePharma, 25 September 2012, and Vaccine market size to reach (US)$77.5 billion by 2024 / CAGR: 10.3%. Grand View Research, March 2018. “…big companies were also buying up smaller medical firms and diversifying their product ranges to protect themselves from “significant sales losses”. GlaxoSmithKline, Britain’s biggest drug maker, has already broadened its portfolio to include vaccines and consumer healthcare, for example.” Big Pharma won’t fall off a patent cliff, says S&P. The Telegraph, 18 December 2012. State of the world’s vaccines and immunization. WHO, UNICEF, World Bank. 3rd ed. Geneva, World Health Organzation, 2009. Vaccines enjoy a healthy return. NewScientist, 28 September 2011. Vaccines become drugmakers’ profit boosters. Pharmaceutical companies drawn to development of vaccines for variety of diseases. The Columbus Dispatch, 30 November 2009. Pharma conflicts must be disclosed. The Australian, 25 June 2012. Stomping Through a Medical Minefield. Newsweek Magazine, 24 October 2008. Also published in The Indian Express 16 November 2008. Titer Testing And Vaccination: A New Look at Traditional Practices. A Roundtable Discussion. Veterinary Healthcare Communications, 2002. Child allergy rates at ‘epidemic proportions’. Sydney Morning Herald, 9 March 2010. Chain reaction – In less than a generation, food allergies in children – some of them potentially fatal – have reached epidemic levels. GoodWeekend, 23 July 2011. Kemp, AS, Mullins, RJ, Weiner, JM. The allergy epidemic: what is the Australian response? Medical Journal of Australia. Vol. 185, No. 4, 21 August 2006. Food Allergy. The Health Report, ABC Radio National, 30 May 2011. HealthNuts Research Update 2011. Murdoch Children’s Research Institute. M.J. Day, M.C. Horzinek, R.D. Schultz and R.A. Squires. Guidelines for the Vaccination of Dogs and Cats. Journal of Small Animal Practice. Vol. 57, June 2016. Sackett, D. The arrogance of preventive medicine. CMAJ. Aug. 20, 2002; 167 (4) 363-364. Schultz, Ron. What Everyone Needs to Know About Canine Vaccines and Vaccination Programs.